Consequences is the latest edition of YHO, and can be downloaded here as a pdf – free for all. This issue is all about The Go-Betweens’ first three LPs and the musical climate in which they were made and first heard. The YHO way of working has been very much about roaring through the pop landscape, making unexpected connections, and zooming off in a new direction to explore whatever turns up. So, for a new challenge, I thought it would be fun to do something different, and write about something more specific like a short sequence of LPs by one artist. And that’s exactly what the new series will be about: context and sequences. This issue is a bit of a feature-length trailer. The ones to come will be far more concentrated and concise. And this one is, unusually, very close to home. It’s a rare glimpse behind the curtain. So please spread the news. Central to this issue is the work of Ian Green as an arranger and as a producer. 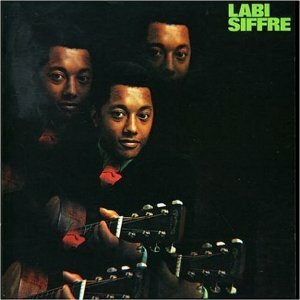 Among Ian's credits are the first two Labi Siffre LPs at the start of the '70s which are very much among my favourite things. I have to confess to being a relatively recent convert to Labi's work but I would rate what he and Ian Green did on these records up there with what Terry Callier and Charles Stepney did. Sometimes we miss what is right in front of us. We all know It Must Be Love or The Vulture but he came up with earlier, exquisite songs that defy categorisation and reflect the jumble of influences and experiences that shaped him. 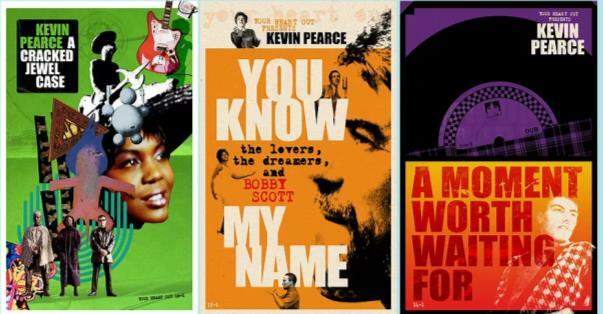 Those first two LPs that Ian Green produced contain some real classics, such as A Little More Line, which Rosetta Hightower also covered. Actually people seem to do some very nice interpretations of Labi's lovely songs, like Olivia Newton John's cover of Crying, Laughing, Loving, Lying. Labi's songs could be deceptively simple, like Summer Is Coming, but the more you listen the more you notice how complex and clever they are. And he could be quite cutting when there was a point to be made, such as on Thank Your Lucky Star. This issue starts with stumbling across a YouTube posting of the British soul treasure Joe E. Young & the Toniks' Flower In My Hand on the Toast label and setting off on an expedition to find out more about Vicki Wickham's boutique label. 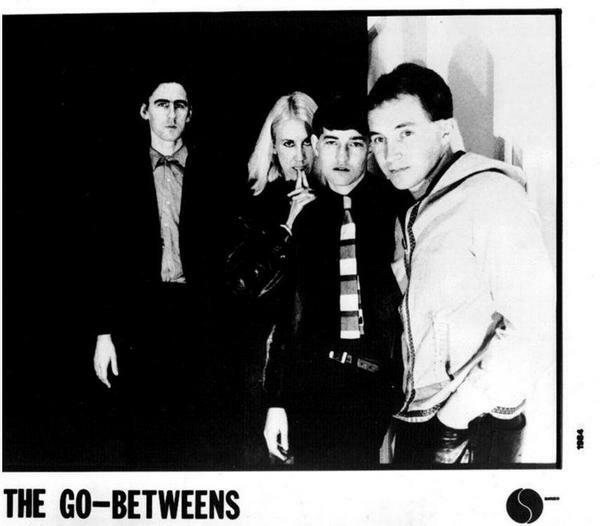 The song itself was written by Ebony Keyes and Pete Gage. Pete Gage is well known for his Geno Washington & the Ram Jam Band connections. Ebony is one Kenrick Des Etages from Trinidad, who moved to London in the '60s, did a bit of singing, and ended up reinvented as Ebony Keyes. Along the way he made some great 45s with the legendary John Shroeder, such as the Northern Soul favourite If You Knew (written by Pete Gage). He also wrote some very smart soul songs of his own, such as What Love Brings for Kenny Bernard. Into the '70s Ebony Keyes became Lee Vanderbilt, and along the way he became an essential part of Biddu's backroom staff. But there's a lot more to his story than that. Ian Levine rates his 1974 track Pick Up Your Troubles as one of his all-time favourites. And Lee's involvement with the Black Joy soundtrack produced an all-time classic in Lonely I.
Lee was also involved with Ian Green and Rosetta Hightower in Charge who made an LP for Tony Hall's Fresh Air label in 1975. 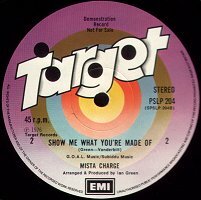 A few more singles followed on Roger Greenaway's Target label, including the funk classic Show Me What You're Made Of.